ola riders! Estamos começando os reviews do mais novo deck especial chamado Structure Deck R: Undead World ! LETS GO! If you would use this Normal Summoned/Set monster as material for a Synchro Summon, 1 monster in your hand can be used as 1 of the other Synchro Materials, but if one is, it and the other Synchro Materials are banished instead of being sent to the GY. (1) You cannot Special Summon monsters, except Zombie monsters. You can use the (2)nd effect with this card’s name only once per turn. (1) When the effect of a Zombie monster not named “Evil Eye the Spirit King” is activated (Quick Effect): You can choose and apply 1 of these effects, but your “Drochshúile the Spirit King” effects cannot apply the chosen effect for the rest of this turn. (2) Once per turn, during the Standby Phase, if a face-up card is in a Field Zone: You can Special Summon this card from your GY, in Defense Position. comentários: novo boss zombie! pode se auto-invocar do cemitério se existir uma carta de campo. pode negar efeito de outro zombie monstro ou banir uma carta do campo. Observe que quando "zombie world" esta ativa, todos os monstros "viram" zombies (incluindo os do oponente). Portanto esse efeito de negação pode ser usado contra os monstros do oponente TAMBEM. Carta bastante interessante! You can use the (2)nd effect with this card’s name only once per turn. 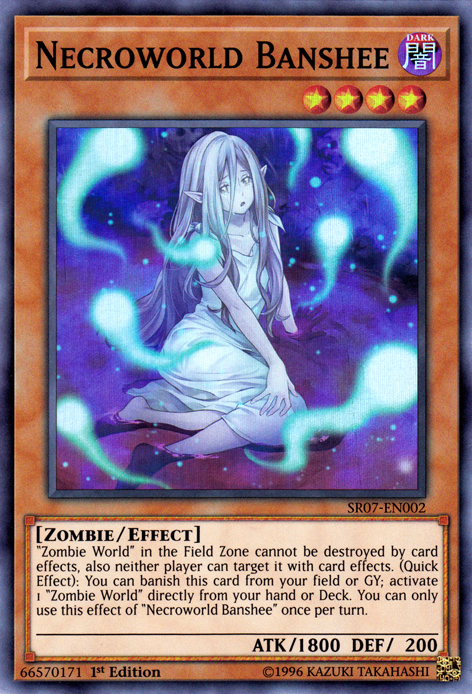 (1) “Zombie World”(s) in the Field Zone cannot be targeted by, or destroyed by, card effects. (2) (Quick Effect): You can banish this face-up card from your field or GY; activate 1 “Zombie World” from your Deck or hand. 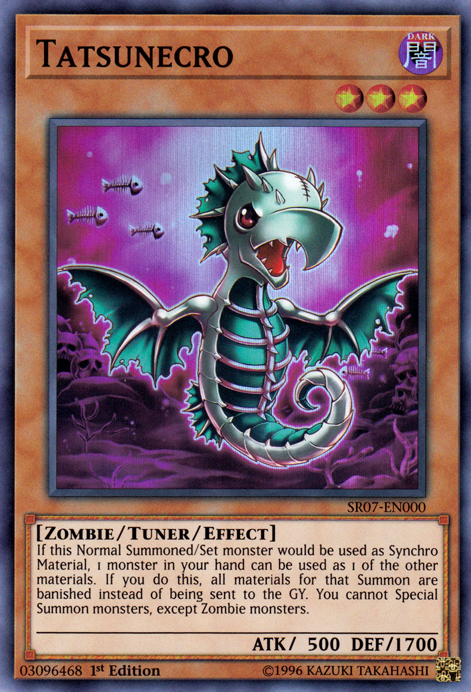 (1) If this card is sent to the GY: You can banish this card from the GY; add 1 Level 5 or higher Zombie monster from your Deck to your hand. If “Zombie World” is in a Field Zone, you can Special Summon it instead of adding it to the hand. 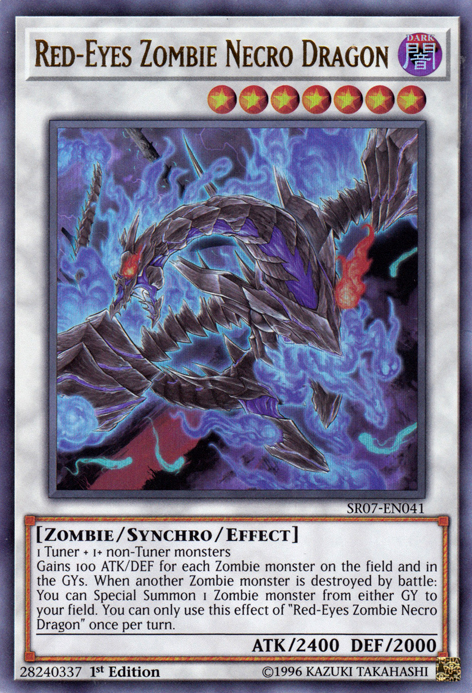 After this effect is activated, for the rest of the turn, you cannot Special Summon monsters, except Zombie monsters. 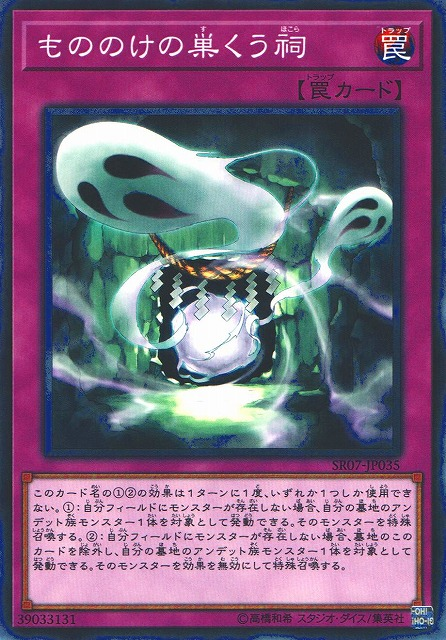 You can use only one effect among the (1)st and (2)nd effects with this card’s name per turn, and only once that turn. (1) If a Level 5 or higher Zombie monster is on the field: Target 1 monster your opponent controls; take control of that monster until the End Phase. 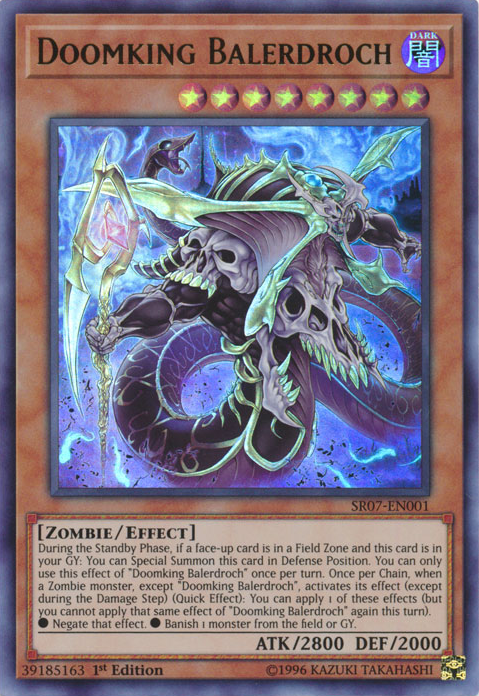 (2) If this card is in your GY: You can shuffle 1 of your banished Zombie monsters into the Deck, and if you do, Set this card, but banish it when it leaves the field. comentários: change of heart pra zombie deck. ela requer um zombie de alto level pra ser ativada. e ainda da pra recupera-la do cemitério através de seu efeito secundário! (1) Target 1 Zombie monster on the field; make it either gain or lose 1000 ATK until the end of this turn. (2) If this card is in your GY: You can shuffle 1 of your banished Zombie monsters into the Deck, and if you do, Set this card to your field. If this card was Set by this effect, banish it if it leaves the field. You can use each effect among the (1)st and (2)nd effects with this card’s name only once per turn. 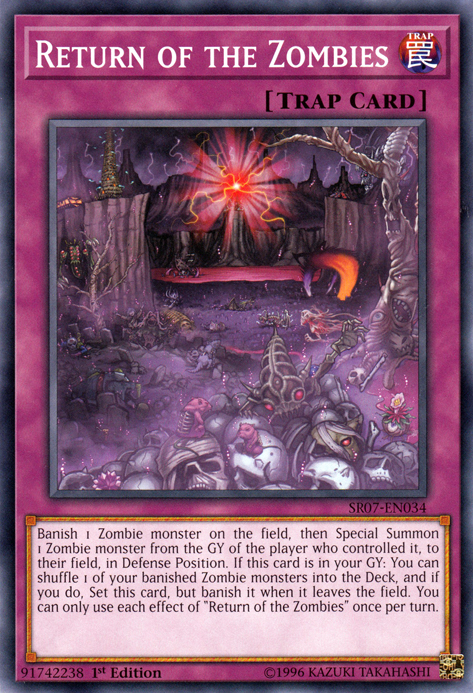 (1) Banish 1 Zombie monster on the field, then choose 1 Zombie monster in the banished monster’s controller’s GY, and if you do, Special Summon it in Defense Position to its owner’s field. 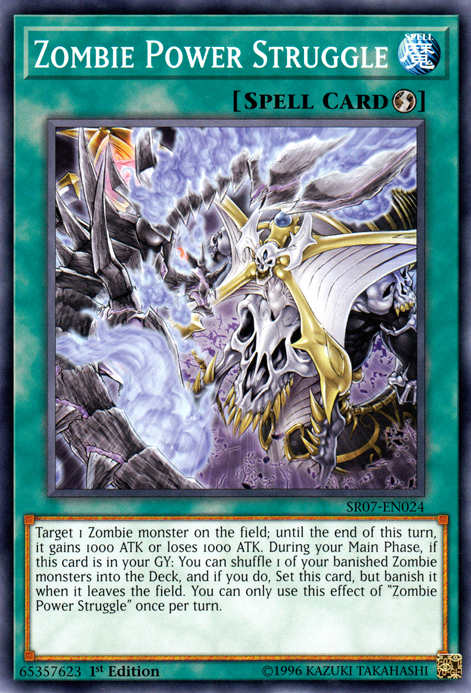 (2) If this card is in your GY: You can shuffle 1 of your banished Zombie monsters into the Deck, and if you do, Set this card, but banish it when it leaves the field. comentários: essa carta RIDICULA além de ter custo de ativação ainda invoca monstros pro oponente. FALA SERIO! If you control no monsters: Target 1 Zombie monster in your GY; Special Summon it. 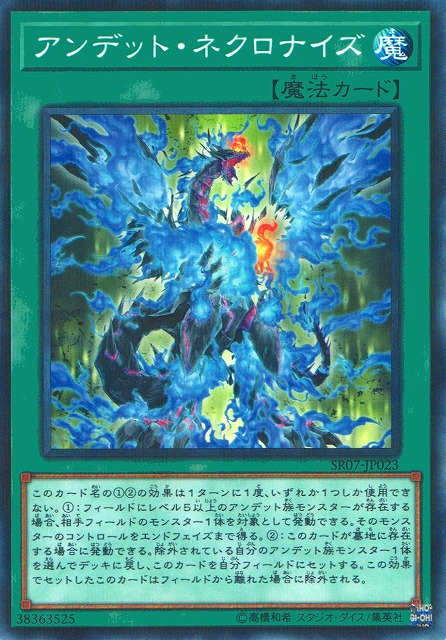 If you control no monsters: You can banish this card from your GY, then target 1 Zombie monster in your GY; Special Summon it, but negate its effects. You can only use 1 "Haunted Shrine" effect per turn, and only once that turn. You can use the (2)nd effect with this card’s name only once per turn. (1) Gains 100 ATK/DEF for each Zombie monster on the field and in the GYs. (2) When another Zombie monster is destroyed by battle: You can Special Summon 1 Zombie monster from either player’s GY.